BD 38/12 C Bp Pack 17834300 https://www.kaercher.com/tn/professional/floor-scrubbers-scrubber-dryers/scrubber-driers/walk-behind-scrubber-driers/bd-38-12-c-bp-pack-17834300.html Lightweight, quiet and agile: the BD 38/12 C scrubber drier with disc head is fitted with a fast rechargeable, high-performance lithium-ion battery and eco!efficiency mode. 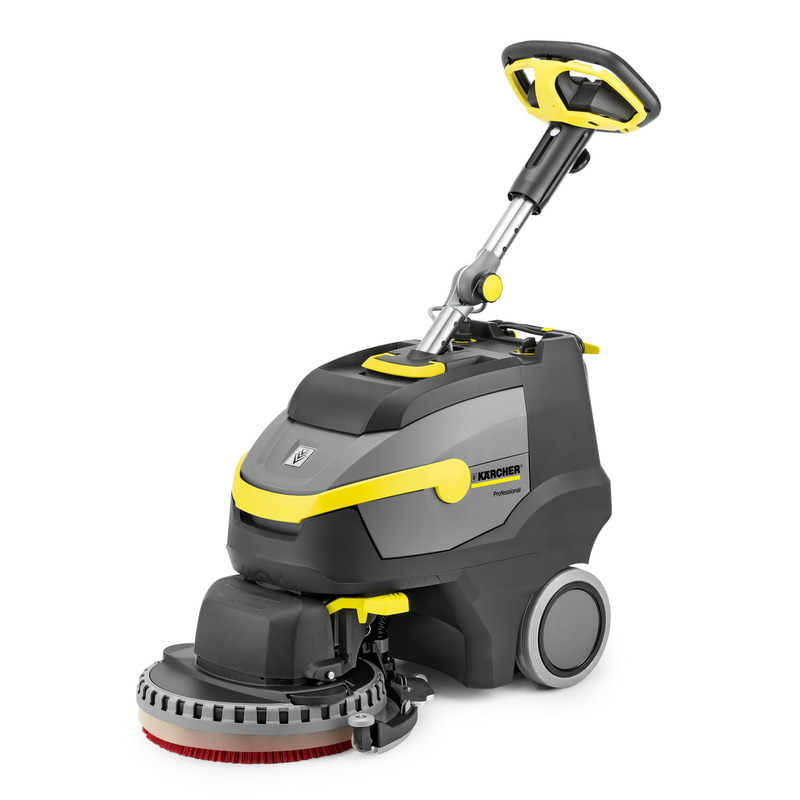 Lightweight, quiet and agile: the BD 38/12 C scrubber drier with disc head is fitted with a fast rechargeable, high-performance lithium-ion battery and eco!efficiency mode. Highly manoeuvrable, user-friendly and easy-to-maintain, the BD 38/12 C scrubber drier is a highly professional and efficient tool for cleaning small areas and cluttered surfaces. The machine is equipped with a disc brush 38 cm in diameter. The new lithium-ion battery has a prolonged run time, making it three times more durable than conventional lead batteries. It is completely maintenance-free and quick to recharge. The eco!efficiency mode reduces energy consumption, increases the run time and lowers the noise level by around 40%. The BD 38/12 C, which is 35% lighter than the other machines in this unit class, helps you to negotiate steps and facilitates transport.